Toys to Encourage Independent Standing in Children! The Best Toys to Encourage Independent Standing take the focus off of the child’s position and onto the task or tasks at hand. Encouraging weight bearing, weight shifting and functional play. By engaging the child’s upper body, we prevent trunk lean and allow the trunk musculature to remain activated promoting not only strength but stability in standing. 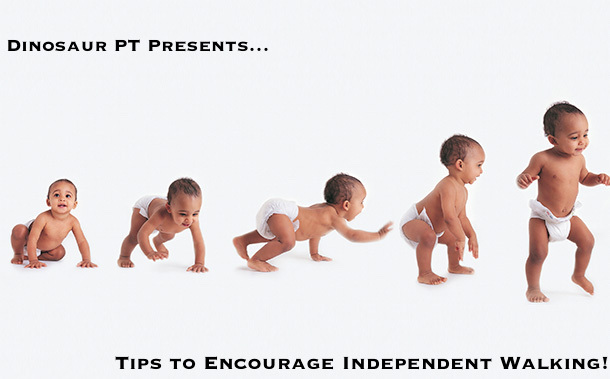 Read our previous post here to learn more Tips and Tricks to Encourage Independent Standing! 1. Standing Art Easel & Magnet Board Easel promotes vertical posture, weight bearing and engages upper body in fun and creative way! Add some fun accessories to turn your little one into Picasso. The Magnet Board Easel also offers a great way to begin identifying objects, letters and numbers. 2. Play Table offers great incentive to maintain upright play allowing child to engage with cause and effect toys, music and fun lights! Learn more about Fun Activities with Play Table in our post here! 3. Sand Table is a great tactile and sensory experience. Great for building fine motor control and strength while promoting lower extremity weight bearing and independent standing! We recommend Kinetic Sand, as it is easier to clean up, non-toxic and provides enhanced sensory awareness! 4. Water Table like the sand table, the water table is a great toy to encourage independent standing that also provides a wonderful sensory experience. Great way to include other children of different abilities in a fun manner! 5. Train Table is a great toy to encourage independent standing. In addition, it encourages role playing and problem solving. Letting our little ones expand their horizons in an active and creative manner. 6. Standing Ball Drop Toy is a wonderful cause and effect toy that encourages standing, weight bearing and dancing as music and lights make this a fun auditory and visual experience! 7. Play Kitchen is a wonderful toy to encourage independent standing, cruising and eventually walking. Engaging the child’s imagination and role playing their way to sous chef status! Don’t forget a shopping bag filled with healthy fruits and vegetables to use in your child’s pretend play! 8. Tool Bench is a wonderful toy to encourage independent standing. As child manipulates tools we incorporate hand eye coordination while promoting dynamic standing balance. The tool bench also encourages problem solving and creative play. 9. Basketball Hoop encourages squatting, reaching over head, throwing to target and retrieving object with bi-manual hold. 10. Musical Instruments are great toys to encourage independent standing without support. As the child engages their upper body in as they establish a cadence and rhythm. **In fact this set of egg shakers was the first toy that Abe stood independently and held (photo proof above!). He is still the most musically inclined member of our family! Remember to have fun and allow your child to be an active participant in their own development. Never force any developmental position or milestone, as each child develops according to their own unique timeline. The ideas and suggestions of Toys to Encourage Independent Standing are all meant to encourage play and share in experiences with your little one! Read more about Teaching Children to Walk!